I’m reviewing several products this week, a handwash, a shower gel, and a shampoo. Tisserand has been making SLS-, paraben-, synthetic perfume-, animal product- and mineral oil-free products since 1985, Robert Tisserand has been practising as an aromatherapist since the late 1960’s and is still involved with the company helping them to put together formulations for their products. Currently they have a range that includes everything from body oils to shampoo to aromatherapy oil blends to perfume and deodorants. 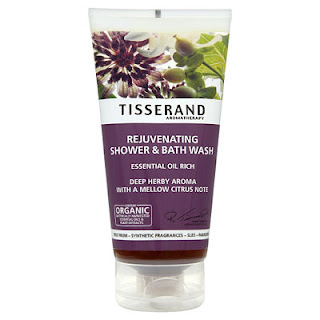 I’ve used a great many products from Tisserand over the years, and I’ve found their handcreams to be really lovely, especially the “Essential Oil Rich” one. The lavender deodorant I didn’t love so much, but it was nice as a complementary scent to Guerlain’s Jicky! I have dry, colour-processed and curly hair, and if you’ve read my Cloud Nine review, you’ll know it’s the bane of my existence occasionally a bit difficult to handle. I used this shampoo alongside my regular conditioner for a week, and it’s basically an okay shampoo. I don’t love it, though I do adore the smell in the shower, it’s wonderfully floral and uplifting, even if you can’t really smell the mint. I found that before using conditioner it made my hair feel a bit dry after rinsing, but after conditioner and drying, my hair feels nice and soft, and with a faint flowery scent. To be fair, the product doesn’t offer a miracle cure for hair issues, so it doesn’t deliver any, but as a mid-price shampoo (mine cost £4.95) it’s a very nice one, if your hair doesn’t have any particular special requirements. According to the blurb on the back, this is a non-drying, soap-free handwash containing rose, rose geranium, pink grapefruit and linden flower extracts. As a result of these this smells absolutely edible, and it’s a little like washing your hands in liquid turkish delight. I love this stuff, and it really does deliver what it says on the tin, hands aren’t dried out, and the scent lingers just long enough to keep you happy. It lasts for ages, as well. There are four people living chez Lippie, and our bottle is only a third gone after month in the house! My bottle cost £2.99 on special offer at Wholefoods, but it usually retails around £5.95. The problem with looking at lots of organic products is that because they’re based on essential oils and a lot of essential oils come from flowers means that the products occasionally smell a bit “same-y”, and they can be decidedly girly and floral. Not this stuff, it has a deep rich, and herbal, almost musky, smell, which is quite unlike anything else. I love the scent, and so does MrLippie, it’s nice to find some products men can use too, for once! As a shower gel it’s pretty much of a muchness with any other gel you’ll use, but the smell is lovely and refreshing (and slightly redolent of freshly sliced lemons once it’s lathered up). The product contains oils of lemongrass, yarrow and may chang (known as the “oil of tranquility” for it’s calming properties), and extracts of bilberry and linden flower. I love to use this stuff in the mornings, as it sets you up for the day quite nicely. This normally retails at £5.95, but my bottle came as part of a package sent to me for review purposes. 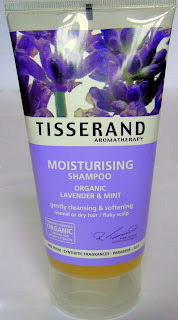 Have you tried any Tisserand? Previous Post Face of the fortnight – as promised! You'll have to let me know how you get on with the moisturiser!